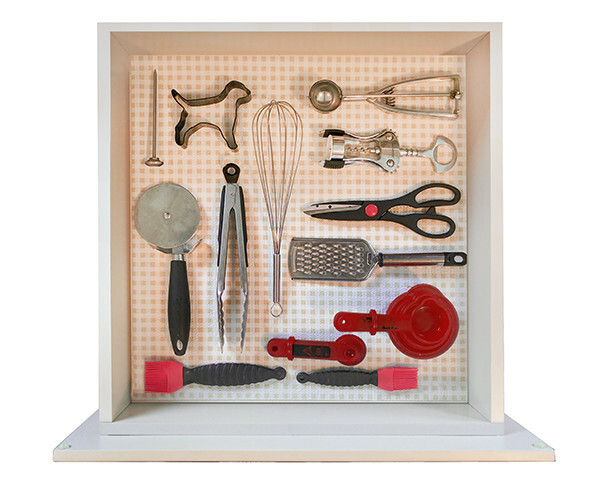 Arrange your drawer exactly how you want it made. Use a penny to space out your items. We'll make your insert exactly to this layout. Step back and photograph your masterpiece as shown. Make sure the image is in focus & taken directly over the drawer. The drawer should take up about half your screen. Measure the inside width and depth of your drawer. Make sure your measurement is accurate to the nearest 1/8" (0.125"). 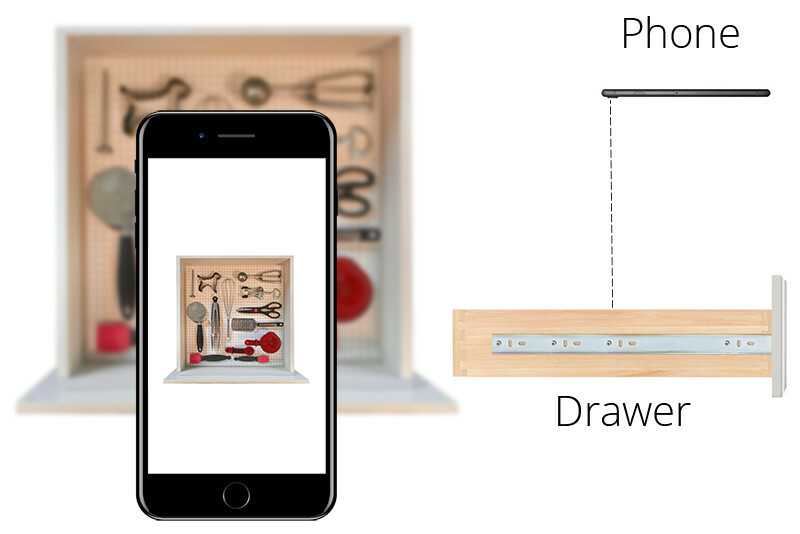 When you're done, put the ruler or measuring tape in the drawer and take another photo. This will give better accuracy when making the insert. Your order will ship in 1-2 weeks. We will contact you via email as your order progresses.